Before we dive into a scholarly analysis of college football’s chopping block, let us first acknowledge that the “hot seat” idiom has become largely outdated in the era of seven-figure coaching contracts. 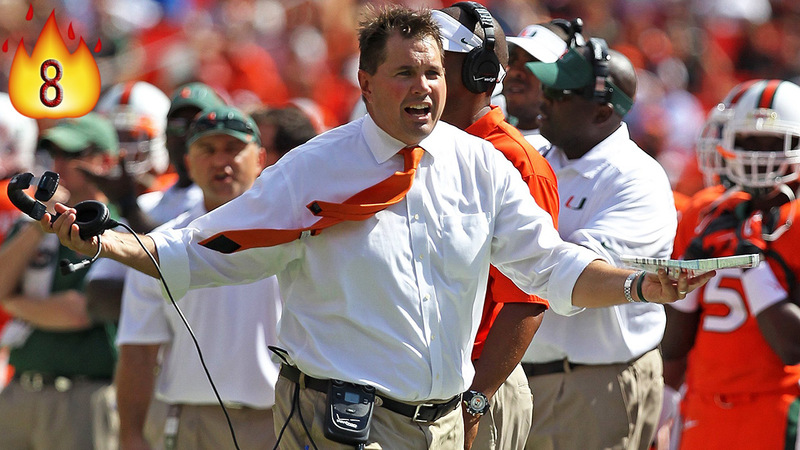 When the public is subsidizing a coach’s salary to the tune of five or six or — gasp! — seven million smackers annually, he’s always going to be on the hot seat. The constant specter of possible termination comes with the territory of being a major conference coach, and considering the compensation involved, it’s a pretty fair deal. Nevertheless, some coaches’ seats are hotter than others entering the 2015 season. To illustrate this, I’ve done away with ancient temperature-measuring methods like Celsius and Fahrenheit and have instead chosen to use a scale of one to 10 fire emoji, with one representing a balmy seat and 10 representing a scorching seat. It’s time to get lit, people. Spurrier is up: "Now that we're 7-6, some of our enemies out there think Spurrier's gettin' old and can't do it anymore." Spurrier: Nobody said anything when he was 69 and they were 11-2. Now at 70 and 7-6, "enemies" are chirping. 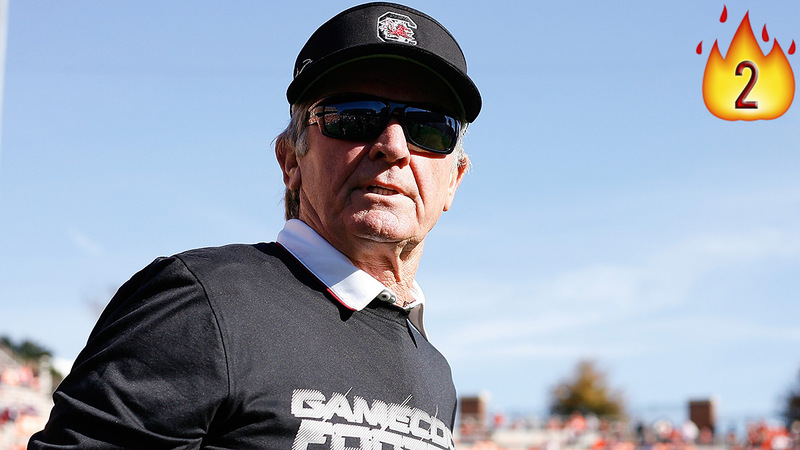 Spurrier not happy with recent comments that he's on a "descent." "I plan on coaching a long time." Spurrier: "We're coming back. We've got a dang good team this year." Well, that settles that. The Ol’ Ball Coach is out for blood this year, man. You’ve been warned. That sound you hear is the rest of the SEC East shaking in its boots. In a perfect world, Miles would continue to devour Tiger Stadium grass and call up ill-advised yet inexplicably successful trick plays in Baton Rouge until the end of time, never succumbing to the scourge of old age or impatient boosters. 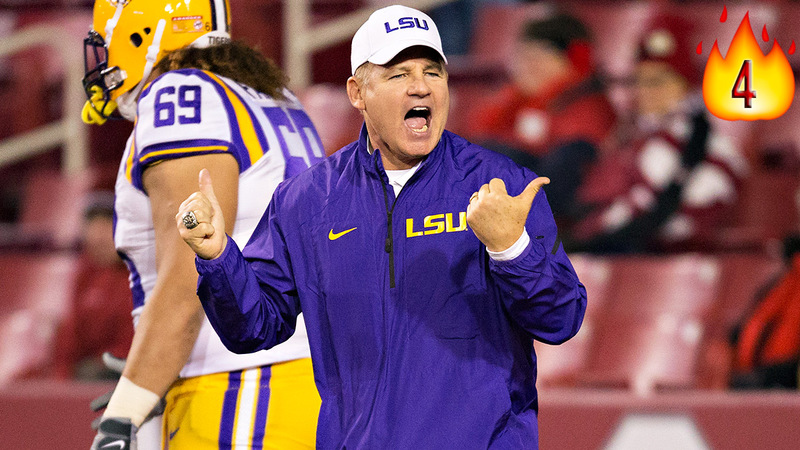 In the real world, though, it’s fair to ask questions about the Mad Hatter’s seeming inability to nurture a consistently productive offense, which reportedly contributed to highly regarded defensive coordinator John Chavis’s decision to depart LSU for the pointsplosive pastures of Texas A&M this offseason. LSU’s offensive woes under Miles have generally come down to the passing game, which needs to improve in 2015 with either Brandon Harris or the recently reinstated Anthony Jennings under center. If it doesn’t, Miles will likely be facing a groundswell of criticism at season’s end, and while his job still probably won’t be in jeopardy, it’s hard to ever be sure of such things at a program that enters each season with designs on the national championship. Then again, I wouldn’t put it past Miles to completely disregard critics’ quarterback concerns, give the ball to rising star running back Leonard Fournette on every single play this season, and remain in playoff contention. There are certainly worse strategies out there. Is anyone else starting to sense a late-2000s Bobby Bowden vibe here? Beamer has accumulated oodles of well-deserved goodwill over the course of his career, thus making it impossible for the Virginia Tech brass to judge him on his present-day coaching merits alone. 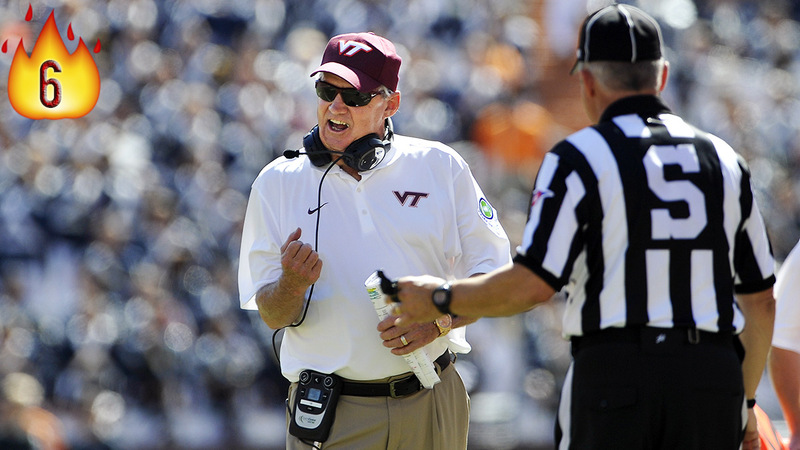 The man has done more for Hokies football than anyone else in history, and he’s earned the right to avoid being shitcanned after two below-average seasons. That said … things got pretty dire in Blacksburg last season. If the Hokies’ downward slide continues, don’t be shocked to see the 68-year-old Beamer “resign” at some point in the near future, à la Mack Brown or Phillip Fulmer. Personally, I’d like to see Beamer come out and announce that he’s going to retire in 2020 or some far-off year, effectively painting his bosses into an unwinnable corner. He could even go so far as to name a successor — my vote is for Shane Beamer, the current associate head coach and running backs coach at Virginia Tech, who also happens to be Frank’s son. 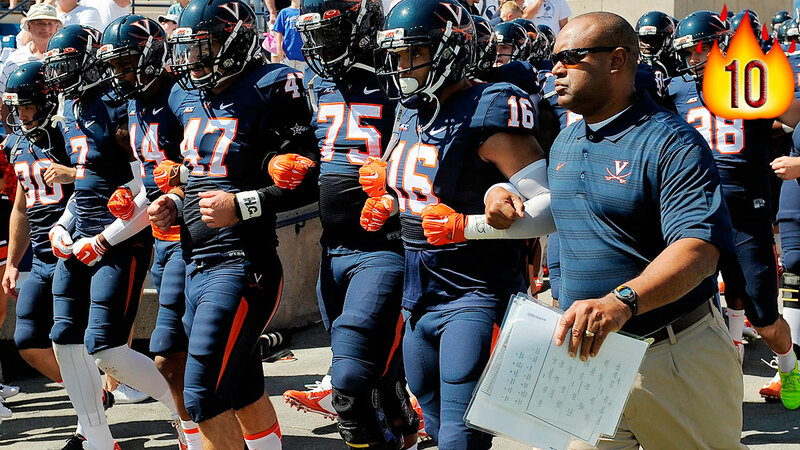 It’s not like nepotism has ever failed as a hiring practice in college football. Be bold, Frank! Matthew Holst/Getty ImagesIn recent years, any suggestion that Ferentz was on the hot seat was met with a chorus of “THAT BUYOUT THO!” — a compelling, near-unassailable counterargument referencing the massive $39.8 million contract extension the Iowa coach inked in 2010. 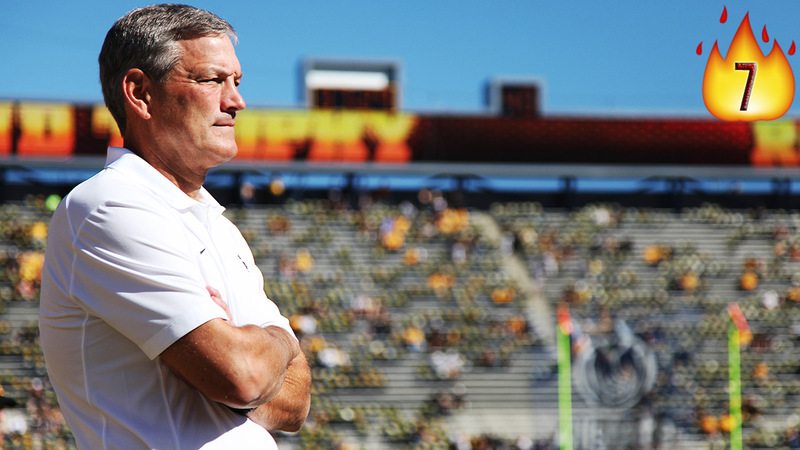 As Grantland’s Matt Hinton recently explained, though, Ferentz’s legendarily long leash may finally be shortening — five straight years of abjectly mediocre football will do that — and another 7-6 season probably isn’t going to cut it. Changing narrative aside, I fully expect Ferentz to barely eke out nine wins, keep his job, and proceed to torment Hawkeyes fans for many years to come. Incidentally, Golden’s commendably dapper sideline attire is also worth eight fire emoji. Huzzah! Unfortunately, this may be his most redeeming coaching quality. As we all know, good fashion sense takes folks only so far in major college football, and on Miami’s hierarchy of important coaching traits, the ability to wear a tie falls well below the ability to develop recruits, beat Florida State, and willingly engage in large-scale impropriety, none of which Golden has done particularly well in his four years with the Hurricanes. Was Golden dealt a crappy hand when the NCAA began to investigate Miami almost immediately after he started his tenure there? You bet. But, to quote a coaching legend, this ain’t intramurals, brother! This is the motherfucking ACC. And with fan apathy at Miami reaching embarrassing levels, Golden must right the ship this season in order to remain gainfully employed. Spoiler alert: Don’t count on it. 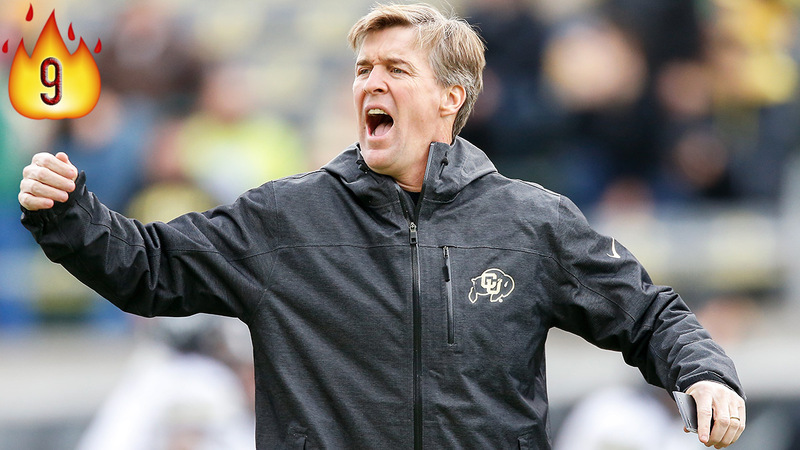 Be honest: If not for the above picture, would you have any clue what MacIntyre looks like? No? Yes? Whatever the case may be, that this question needs to be asked is a decidedly inauspicious sign for MacIntyre’s tenure in Boulder, which probably won’t be very long. Believe it or not, Beckman’s incomprehensible opening statement at Big Ten media days wasn’t even the lowest point of his own damn press conference: That moment came when he was asked about the abuse allegations that have dogged him all offseason, which he basically refused to address. 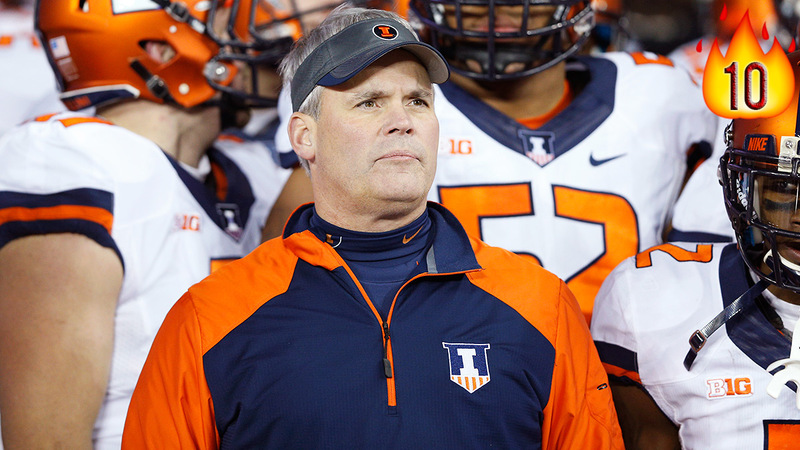 Between this emerging scandal and his 12-25 overall record at Illinois, it’s easy to see why Beckman is on thin ice. Yes, you could say that the Illini’s record has improved in each of the past two seasons, but then you’d be arguing that a 35-18 loss to Louisiana Tech in the 2014 Heart of Dallas Bowl represented legitimate progress for an ostensibly major program. It’ll be a minor miracle if Beckman isn’t collecting severance this time next year. Let’s cut right to the chase: How does this man still have a job? He’s been under fire since, like, 2010, and with good reason, namely his atrocious 11-29 conference record. Yet somehow, he’s managed to survive. His seat should be the hottest in the country, so perhaps he’s physically resistant to heat? How else to explain the utterly baffling phenomenon that is his continued employment by the Commonwealth of Virginia?